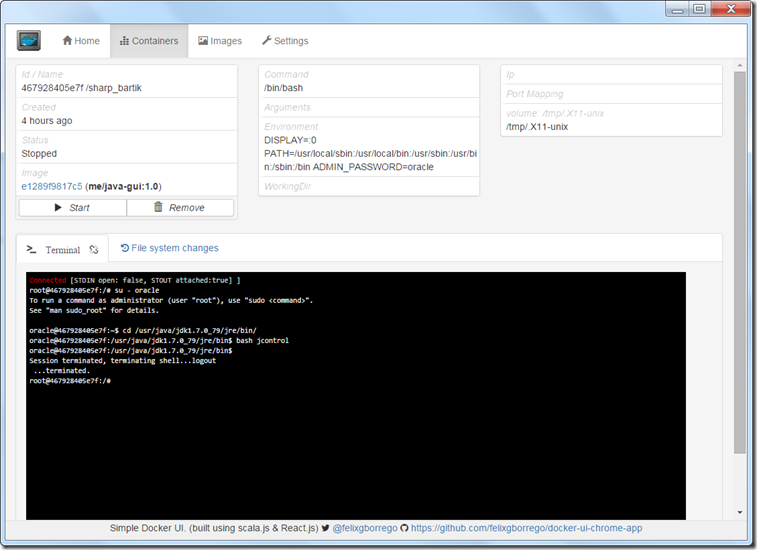 Vagrant talks to VirtualBox, allows me SSH into the Docker Host VM and talks to the Docker engine regarding stopping and starting containers. 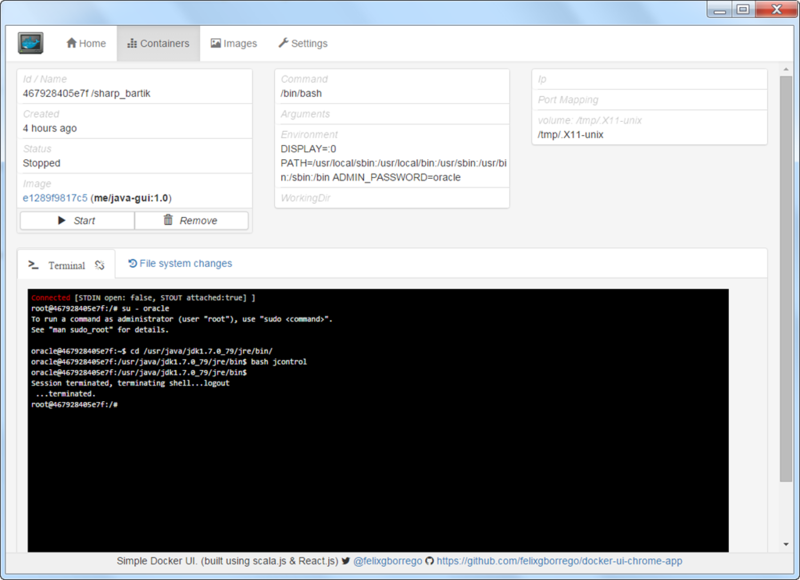 From within the Docker Host VM, I can open a terminal window and start interacting with the CLI (command line interface) for Docker. 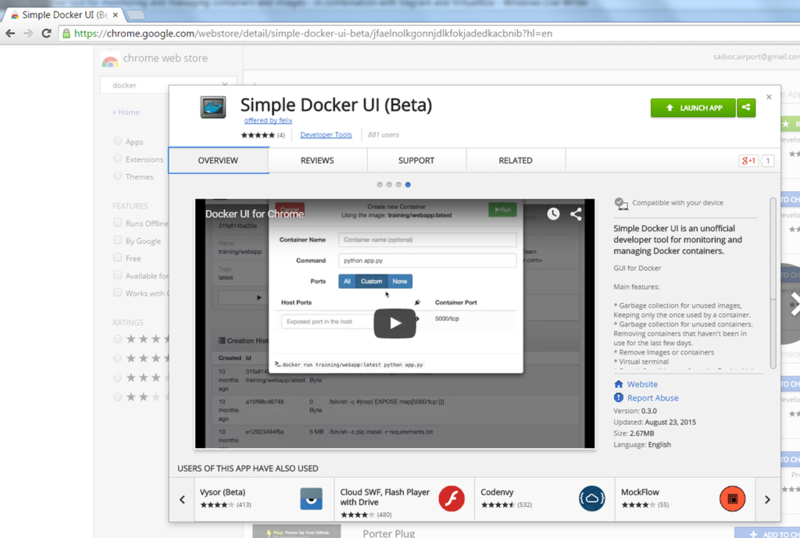 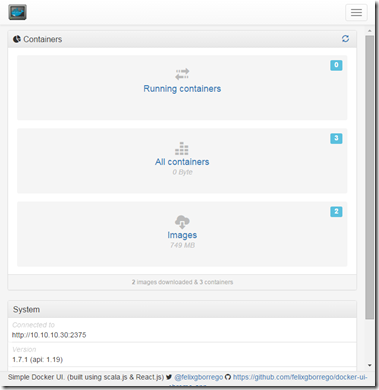 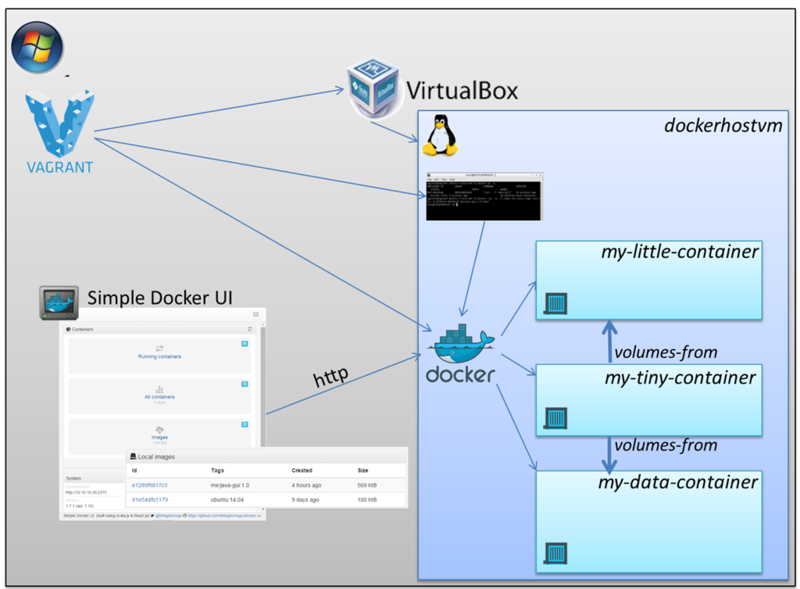 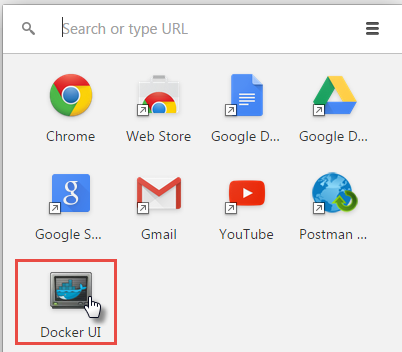 The Simple Docker UI adds a perspective: browser based user interface that interacts too with the Docker engine (running inside the Docker Host VM) and presents information in an easy format. 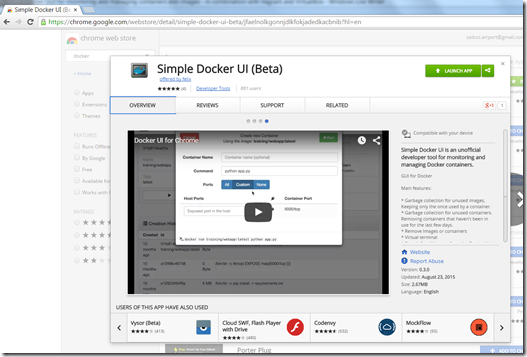 The App appears in a popup window – opening the Settings tab. 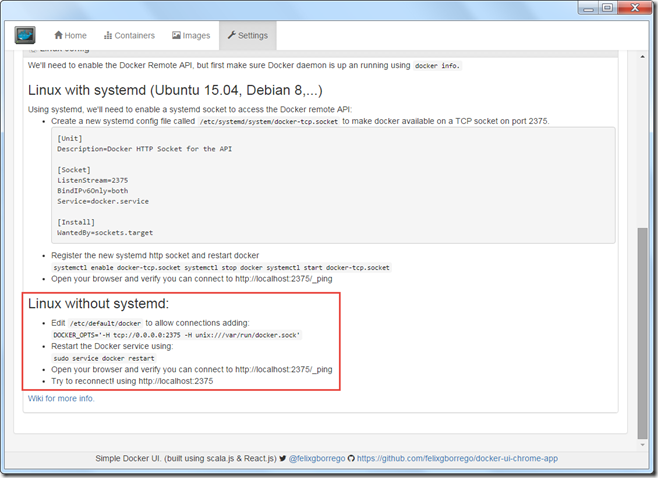 Here is where we have to specify the IP address for the Docker Host VM (as specified in the DockerHostVagrantFile in my case where I set up a private network with IP address 10.10.10.30 for the Docker Host VM). 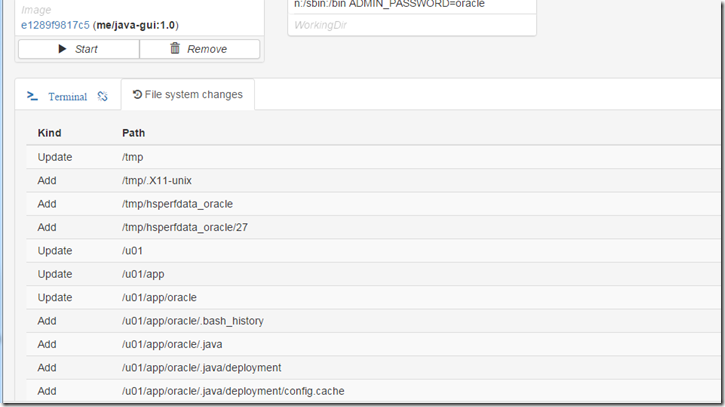 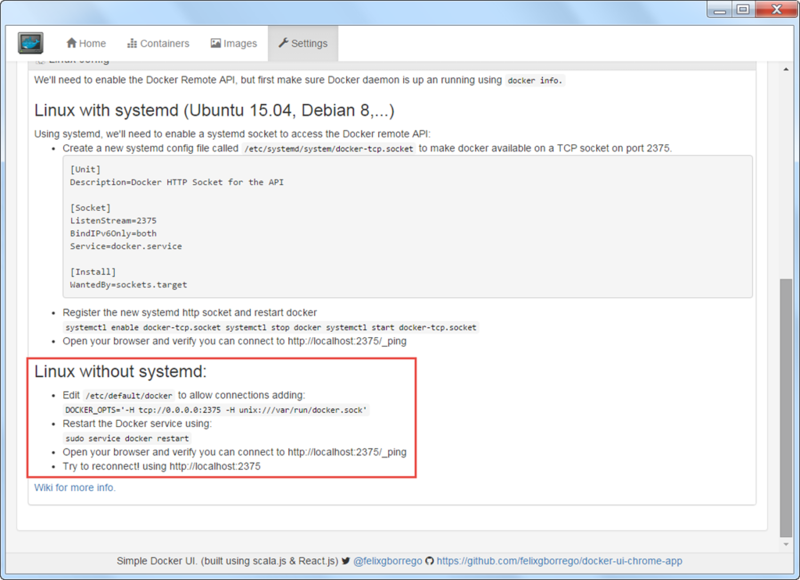 This tab provides detailed instructions for configuring Docker on the Docker host in order to expose the remote API. 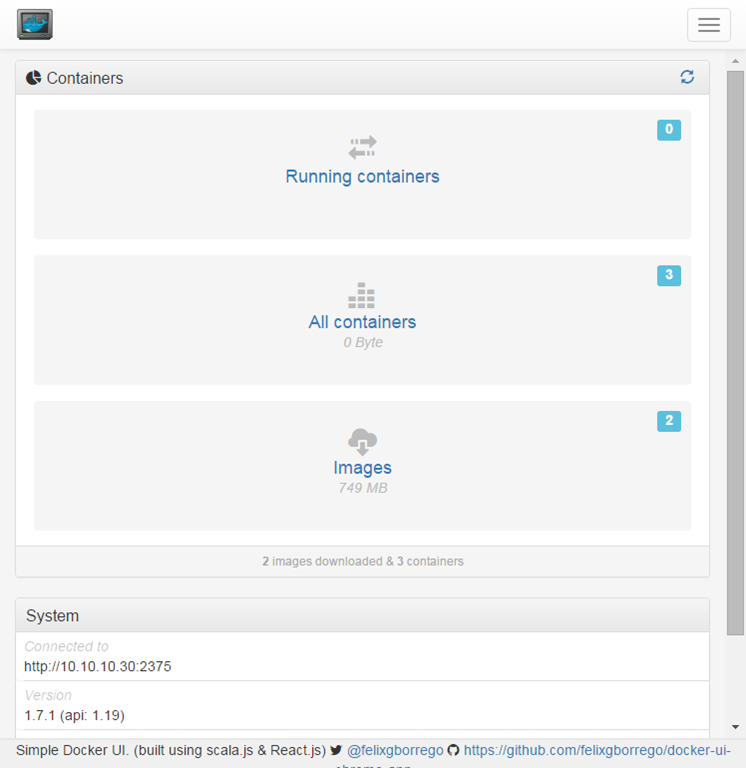 Containers can be started and stopped from this page and through the terminal we can directly interact with the container. 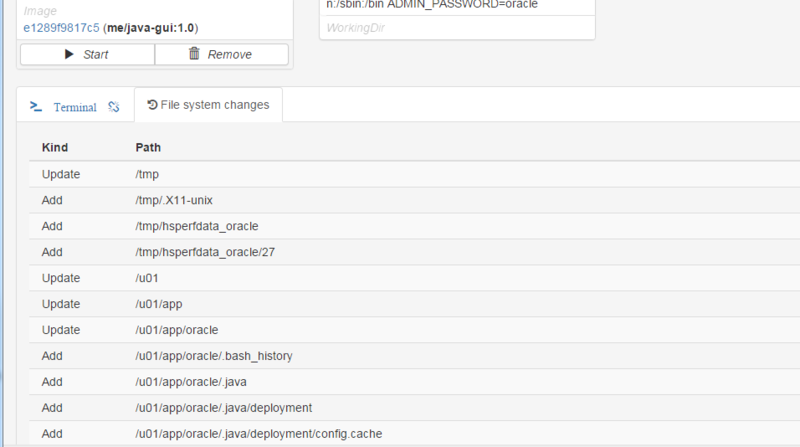 Even though it is only early days for this tool – still in beta – it looks very promising to me and is even in its current state already quite useful!